The double wall tuck front box comes complete with a nonglued lid and tray. 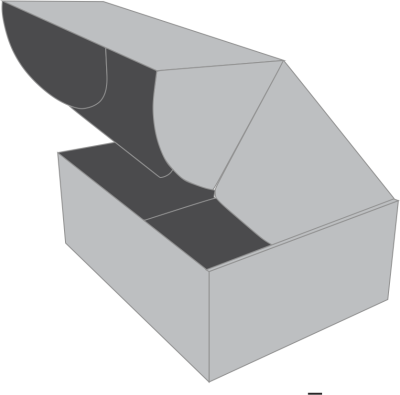 The presence of side panels filll the role of both the foot and lock portion of the box. As part of the innovative design of these boxes, the male lock is smaller in size than the female portion of the lock portion. 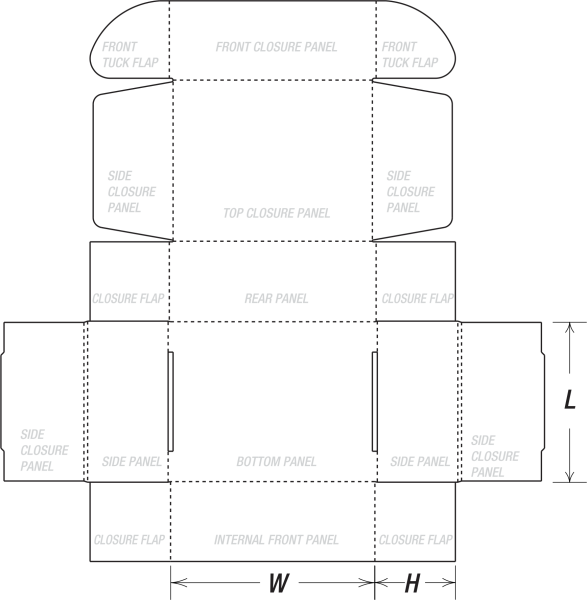 An additional front panel extends from the lid of these double wall tuck front boxes and includes two locking tabs. The durable structure of these boxes makes them ideal for use with heavy load contents.